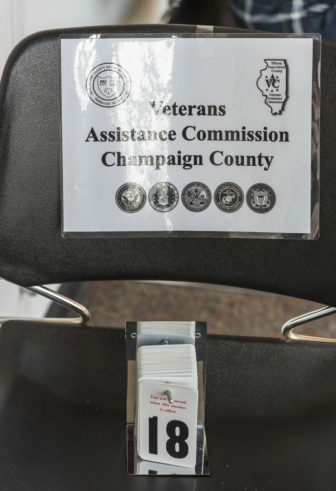 Due to a tight budget, Champaign County Veterans Assistance Commission has had to turn away 138 veterans so far this year requesting financial help. Last year they turned away 151 veterans. The organization receives funding from Champaign County. They provide temporary financial assistance to veterans, including helping with mortgage or rent payments, utility payments, and food and family essentials. The commission is managed by a board of directors, who are all veterans themselves. They opened in December of 2012. As of this fall, they’ve spent about $69,750 of the budget, Superintendent Brad Gould said. The president of the commission, John Maggio, said that the budget remained the same since the commission began. There are over 9,000 veterans in Champaign County , according to the latest figure from U.S. Census Bureau. The low budget has been a problem for several years. In 2014, the commission had to turn away 177 veterans. According to the commission annual report, 52 percent of the budget goes towards helping veterans with their rent, 6 percent towards helping with mortgage and 42 percent goes towards helping with utilities. Gould said that he asks Champaign County every year for more money, but is unable to get it. However, he said he understands that the county also has a tight budget. Gould said that they determine who to help on a first-come-first-serve basis. They accept 32 call-ins for financial assistance, and then reserve three spots for walk-ins. These walk-ins are for people who have never received help from the commission before. Assistance opens up on the first day of each month at 8 a.m.
Each person requesting assistance is allowed $200 per month. However, if someone does not need the full $200, then they can give it back to the organization to help other people. Gould said, however, that when he turns someone away during one month, he still might be able to help that person another month. “When I say ‘I turn them away,’ I may have turned them away that month, but it doesn’t mean that I didn’t help them out sometime during the year,” Gould said. The highest number of veterans turned away in one month was 37 in February 2018, he said. Gould said the increased demand might have been caused by the veterans overspending during the holidays. Those who are turned away can also go to other organizations like the Salvation Army for assistance. The commission offers other forms of aid as well. They have their own food pantry, where they can give bags of food to people who need it. The commission website also states that they provide advocacy, and information, referral and location of discharge documents. They also can provide passes for bus service, Gould said. Maggio said that veterans can ask for assistance for however long they need it for. In order to receive the services from the commission, however, veterans have to be eligible. According to Section 2 of the Military Veteran’s Assistance Act, a person must have served in the Armed Forces of the U.S., and must have left on an honorable discharge. McLean County also has a Veteran’s Assistance Commission. They have about $45,000 to give away for financial assistance. However, this money is only given away for short-term emergencies, Superintendent Jerry Vogler said. 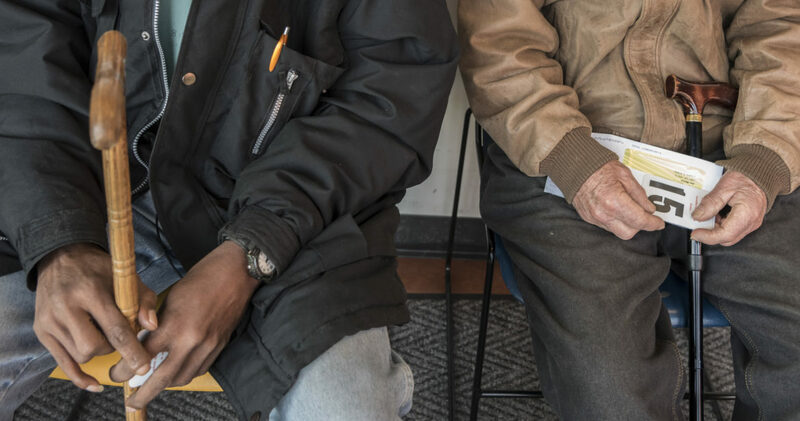 When in need of financial assistance, the veteran would have to speak with the commission about why he or she needs help before they determine whether or not to provide financial assistance. Vogler said that when veterans are repeatedly in need of help, they send them to General Assistance for McLean County. Otherwise, they provide non-financial services as well, such as giving guidance and council, and a van service to help veterans get to VA appointments. They get their money through a separate tax through McLean County, which goes directly to the commission. Residents are taxed a little less than half a cent. Vogler said that money struggles “come and go” with them for their budget. At the moment, however, they are not having trouble money-wise. Gould said that it can be tough having to turn down some veterans asking for help, especially those who are really struggling.